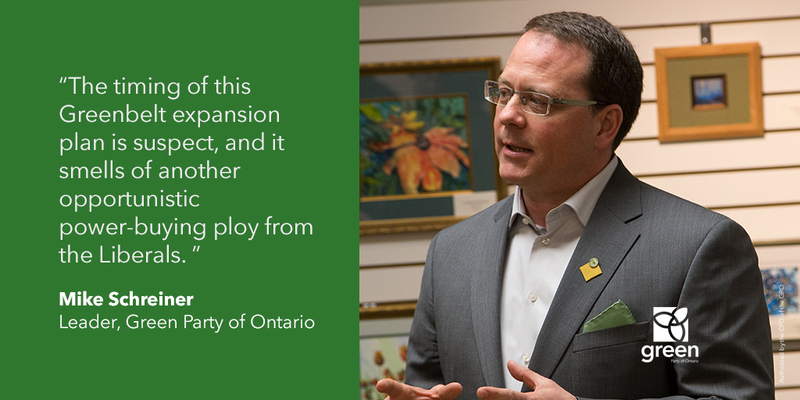 Statement from Green Party of Ontario Leader, Mike Schreiner, on the Liberals’ announcement they would expand the Greenbelt. “The timing of this Greenbelt expansion plan is suspect, and it smells of another opportunistic power-buying ploy from the Liberals. This is yet another example of cynical politics. If protecting prime farmland, sensitive wetlands and wildlife habitat was truly a priority, then Kathleen Wynne would not be announcing this on the heels of Doug Ford’s leaked video. She would not be giving the go ahead to the Midhurst Mega development that threatens farmland and water in Simcoe County. She would sign the Food and Water First Pledge to protect prime farmland and source water regions in Ontario. 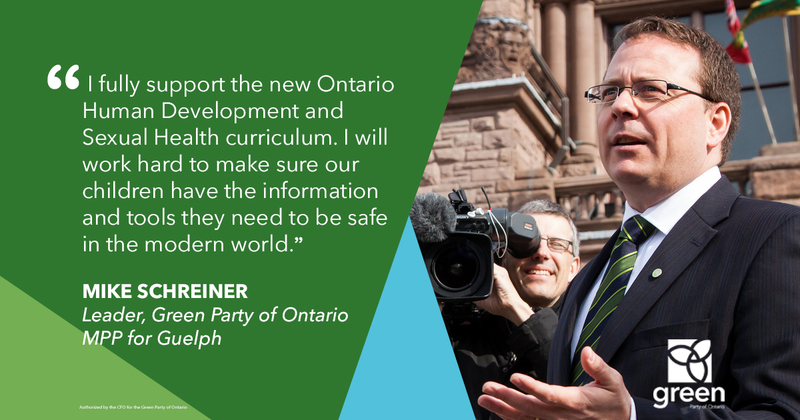 Greens will continue to fight to protect the people and places we love in Ontario. 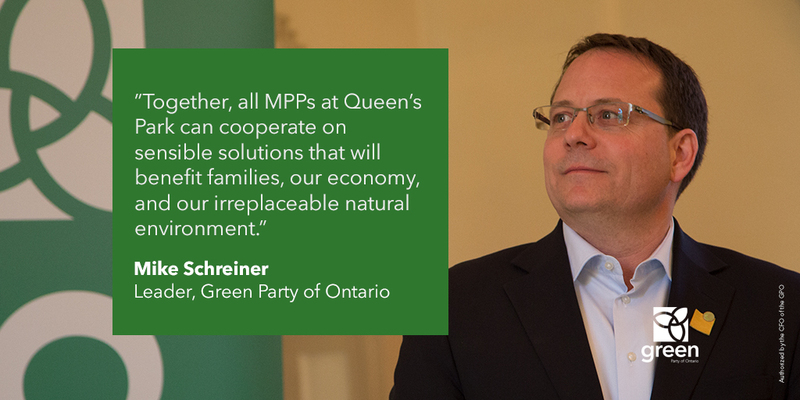 Unlike the Conservatives, we will say this privately and publicly, to farmers, developers and environmentalists. And unlike the Liberals, we will proudly stand by this position at all times, not just when it’s politically convenient. 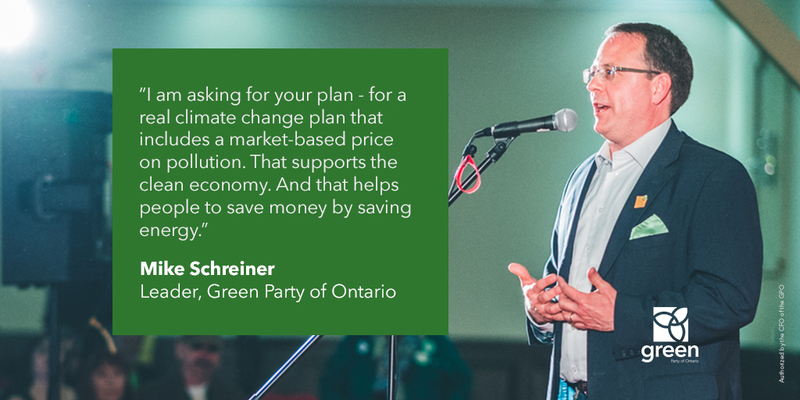 “The Green Party supports a freeze of urban boundaries now to stop urban sprawl. We will restrict infrastructure development in the Greenbelt, including highways, quarries and pipelines that are chipping away at its integrity.